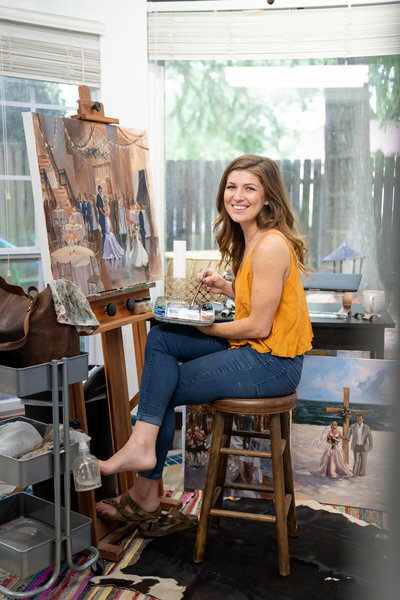 There are so many ways to document your wedding day these days - photo booths, videographers, old school Polaroids, and now you can have a live wedding artist create a timeless work of art, right there in front of you! 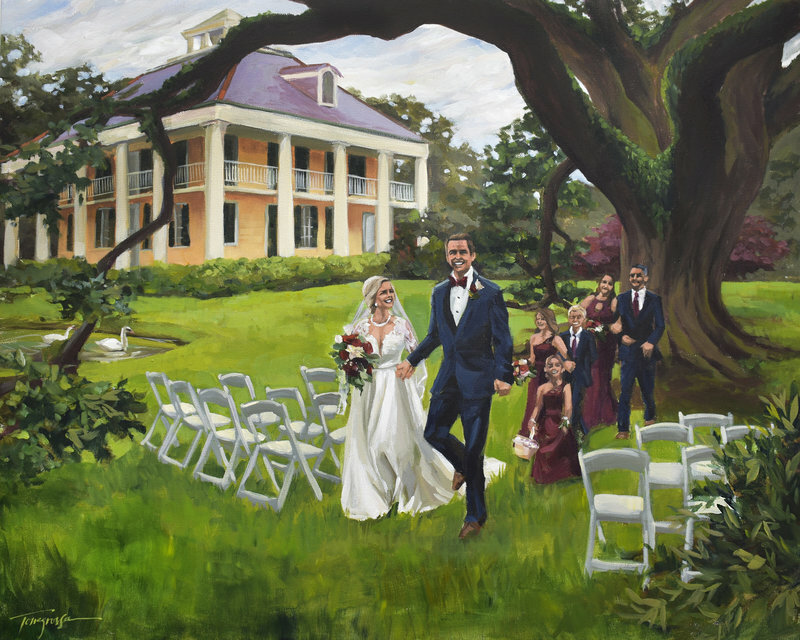 Below you will find package information for live event paintings, created on-site at your wedding or special event. Artistic style, personality, availability, and investment. What a fantastic time to be planning a wedding! Stephanie T. Gaffney paints with a relatively realistic style. When she glances at the room, she notices all the details that you spent months stressing over, and she can't help but capture that on the canvas. From the centerpiece bouquets pouring over their vases, all the way down to the dimple on your husband's cheek that you adore, and the lace detail in your dress that made your mom gasp the moment she saw you try it on - your vision will be captured to the "T" on the canvas. 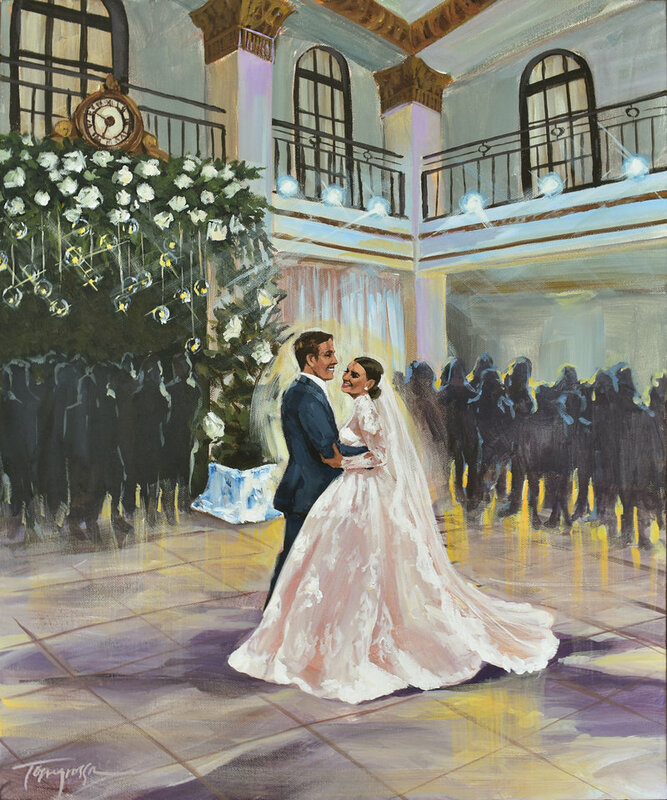 If you think your wedding painter should be tucked in a corner, avoiding contact with curious onlookers and rushing out the back before the party ends, than you should head back to Google and keep on lookin'! Stephanie's extroverted personality makes her the most entertaining artist you've ever seen at work. She jams with the band, singing along to your wedding playlist, and welcomes all questions, comments and compliments with a smile. You may even see her pass the brush to one of the kids who are bound to be captivated by her performance. As you know, Stephanie is just one person. (Duh) So when she books a wedding on her calendar, that day is taken! Please check with her - as well as ALL the vendors that you really want to hire - as soon as possible to inquire about her availability for your date.